The following is a debt settlement letter for FIA Card. 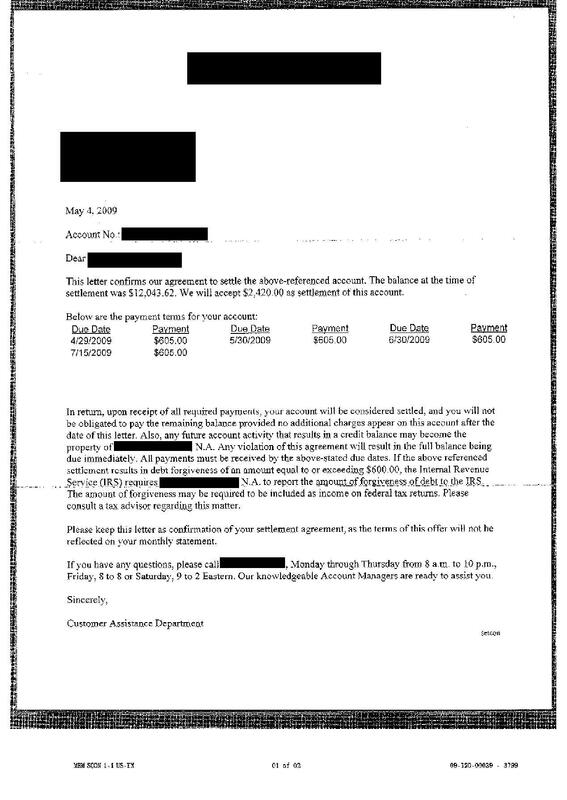 In the letter, you can see the final negotiated resolution where the client saved 80%. They paid back only $2,420.00 on the balance owed of $12,043.62.